Is “Reboot” The Right Word? After fans learned that the DC Universe would be massively revised after Flashpoint, DC insisted that it was a relaunch, not a reboot. But with a complete line-wide new start, with many characters being reimagined and given new backstories, it certainly falls under the conventional meaning of “reboot” as applied to a fictional universe. It’s at least as much of a reboot as the DC Universe that emerged out of Crisis on Infinite Earths in the 1980s. But I’m not sure the metaphor’s correct. It comes from the idea that when you reboot a computer, you start fresh…except usually when you reboot, you have exactly the same “universe” (the operating system, the apps, the files, etc.) as you had before. That’s not the case with a fictional reboot, which tends to alter the settings, characters, histories, and more. A better comparison might be an operating system upgrade. Going from Windows XP to Windows Vista, or from Vista to Windows 7. Lots of things change about the way the system works. Some apps are altered. Some stay the same. Some might not be compatible and need to be removed until new versions are available. You might even lose some of your data (or access to it). Some changes are improvements, but there’s always something you wish they’d left alone. The New 52 fits this metaphor. So does the post-Crisis on Infinite Earths relaunch, which took characters from DC’s Earth-1 and Earth-2 settings, plus the characters they had bought from Charlton, Quality and Fawcett, and merged them all into a single timeline. Some characters were erased (Supergirl), others were changed significantly (Superman, Wonder Woman), some stayed more or less the same (the Flashes’ history was mostly unchanged). Most of Superman’s villains were reimagined and introduced as if they were new. Smaller retcons, those that affect a single character or team, can be looked at as patches. The John Byrne Doom Patrol, which quietly relaunched the Doom Patrol as if they were new characters, but left the rest of the DCU unchanged. The Time Trapper/Glorith mini-reboot in the “Five Years Later” Legion of Super-Heroes, and the Threeboot Legion. Really, anything that could be explained by a “Superboy punch” can be treated as a patch. In between are the events that retcon a bunch of characters across the line, but only change the distant past and behind-the-scenes events. The DC Universe after Zero Hour was very much like the DC Universe after Crisis on Infinite Earths. The DC Universe after Infinite Crisis were very much like the DC Universe after Zero Hour. Zero Hour…aside from the reboot Legion, most of the retroactive changes were details. Infinite Crisis may have set up the return of the multiverse, but it happened in a way that no one in the main universe noticed for over a year. I’d compare these to service packs. So in a way, DC’s right: it’s not a “reboot.” It’s a reinstall. This entry was posted in Opinion and tagged Crisis on Infinite Earths, Geek, Infinite Crisis, New 52, Reboots, Retcons, Zero Hour on December 16, 2011 by Kelson. “It’s a reboot” explains the existence of continuity changes. It doesn’t justify them. Good or bad, those new or altered characters, settings and concepts have to be judged on their own merits, not on whether there was an editor’s note explaining why it doesn’t line up with older stories. This entry was posted in Opinion and tagged New 52, Reboots on October 14, 2011 by Kelson. There are some big changes on the horizon at DC Comics, many of which have fans wondering if this brave new world will even remotely resemble the one they fell in love with. DC is even taking a look back at its rich history with the line of Retroactive books, beginning this week. While some current stories will continue on and adapt with the changes, most will be re-cast in the light of the new universe. There’s no denying the magnitude of many of the updates and revamps due this fall. However, anyone concerned about the future is best served to learn from the past. 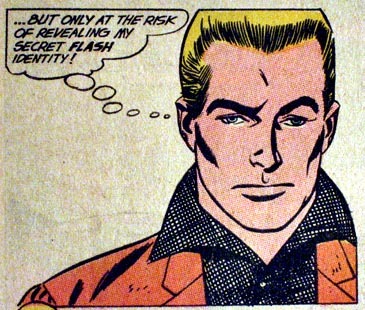 From his first appearance in 1956, Barry Allen sported a distinct crew-cut. 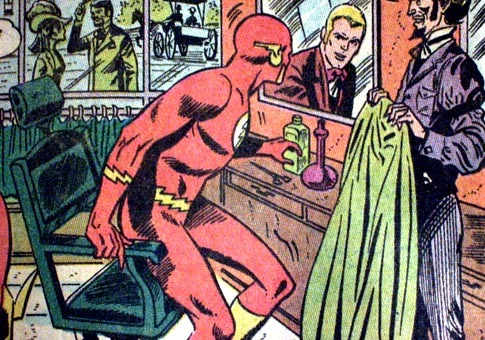 It, along with the now even-more-dated bow-tie, defined the character’s look and “regular-guy” personality to the point that it has become the default look for any stories set prior to Crisis on Infinite Earths. However, in 1970, DC Comics decided to do away with all vestiges of the heretofore unwavering ‘do. In its place, a golden mane of modern manhood crested atop Barry’s visage. 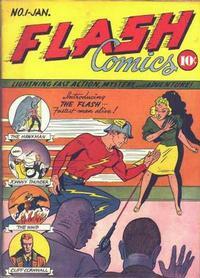 This entry was posted in Flash History, Fun and tagged Barry Allen, gil kane, irv novick, Mike Esposito, murphy anderson, Reboots, Ross Andru on July 21, 2011 by Greg Elias.